Könige communications is a communication agency in Montreal that provides integrated creative and effective communication services, including: communication plans, event planning, public relations and branding. 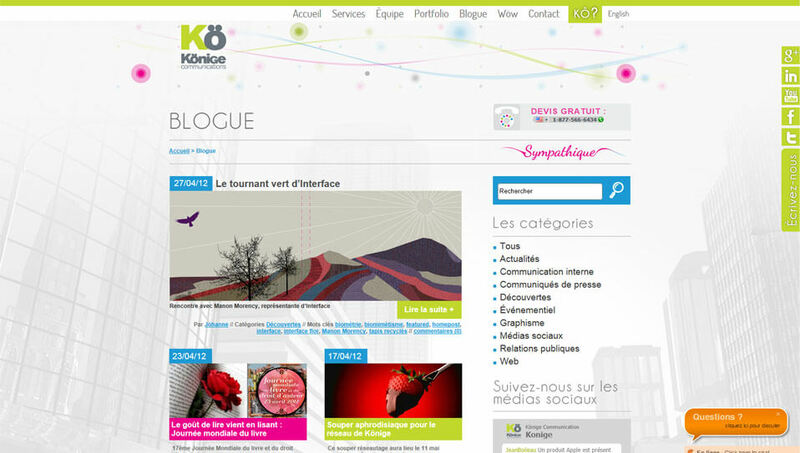 Könige communications asked Art Systems to design and develop a new web interface in order to showcase its expertise. The site has a scrolling banner and a portfolio where visitors can have a look at some of Könige's achievements. 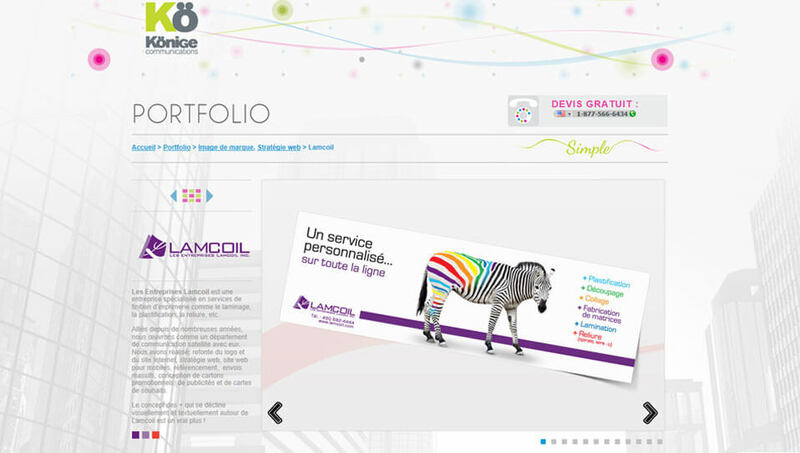 The three colours, green, pink and blue, have a simple, friendly and surprising effect, which reflects the values ​​of the company. 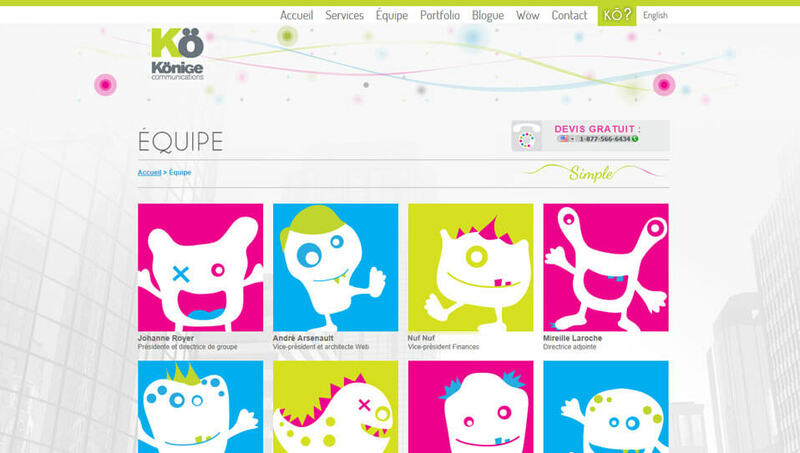 Discover the personal profiles of the friendly monsters that work at Könige. Find advice and suggestions and read the company's latest blog articles!